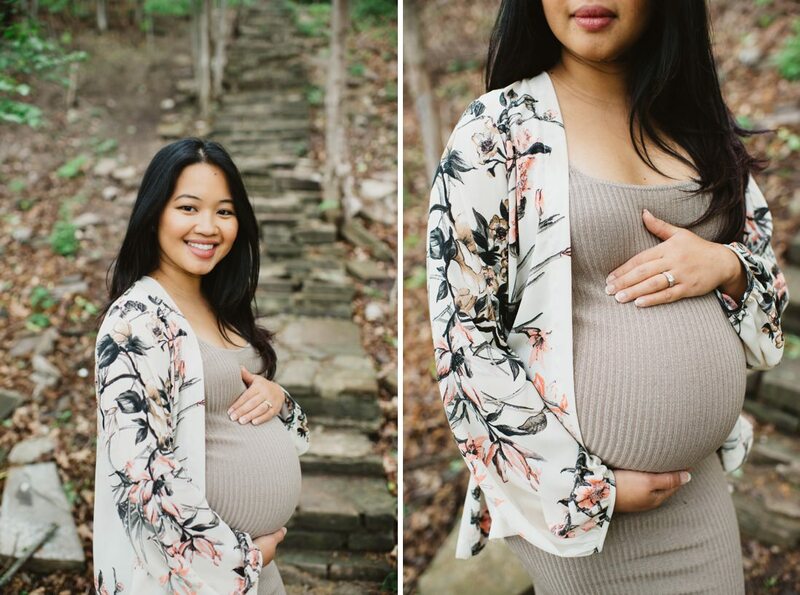 It’s been a loooong time since we posted a shoot that isn’t a wedding or an engagement! 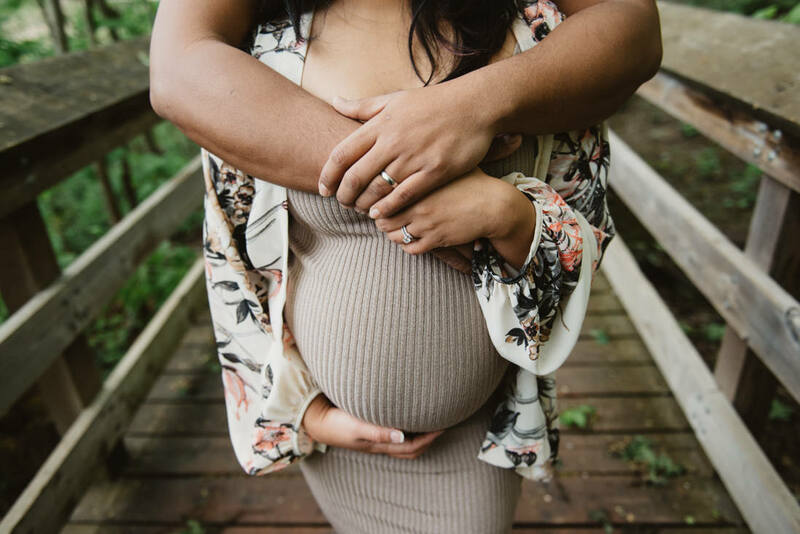 When we first started our photography business, there used to be a section of our portfolio dedicated to family and maternity portraits. 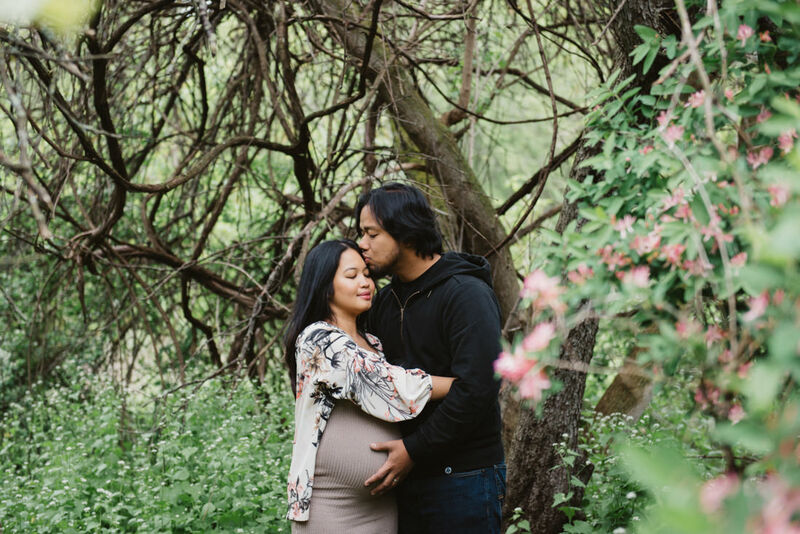 That section of our website doesn’t exist anymore, but we do in fact, still shoot portrait and lifestyle sessions! 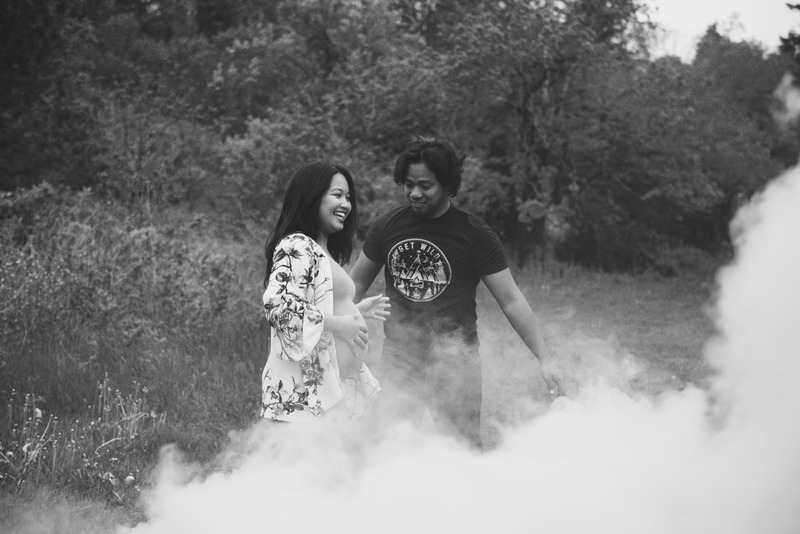 So we’re pretty excited to share these Smoke bomb portraits from The Asinas family’s maternity session today! 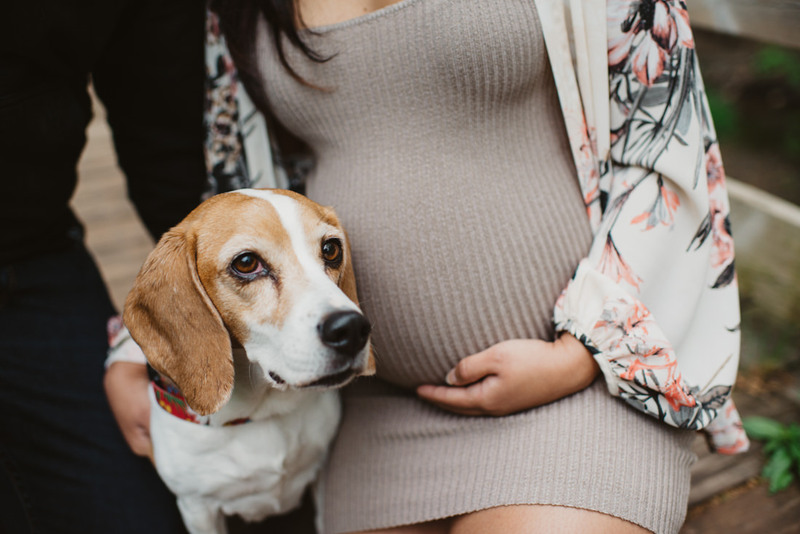 Olivia called us up a few weeks ago with a last minute request for a maternity shoot, since she is due real soon! 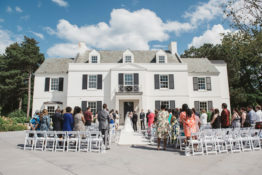 Time was of the essence, since Olivia owns Flower Maiden, and during the wedding season, she is every bit as busy as we are! 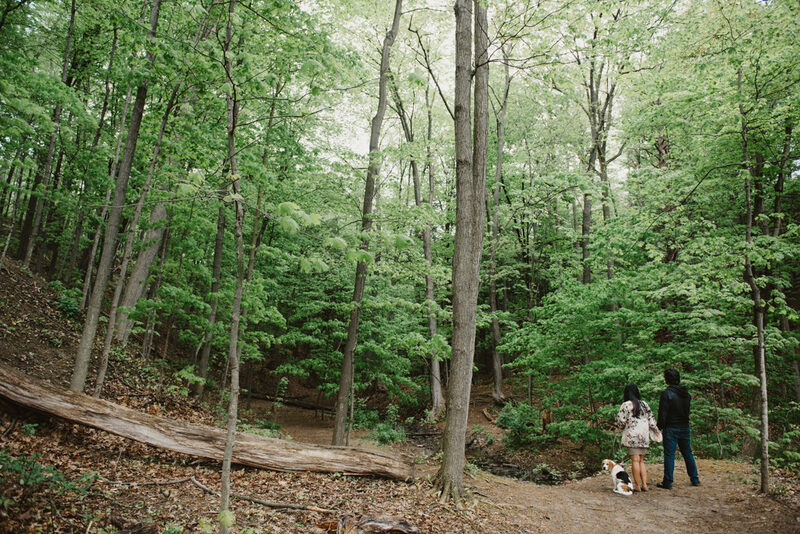 Luckily enough, there was a date that worked for everyone, so we set off to plan their shoot at Riverwood Conservancy in Mississauga. 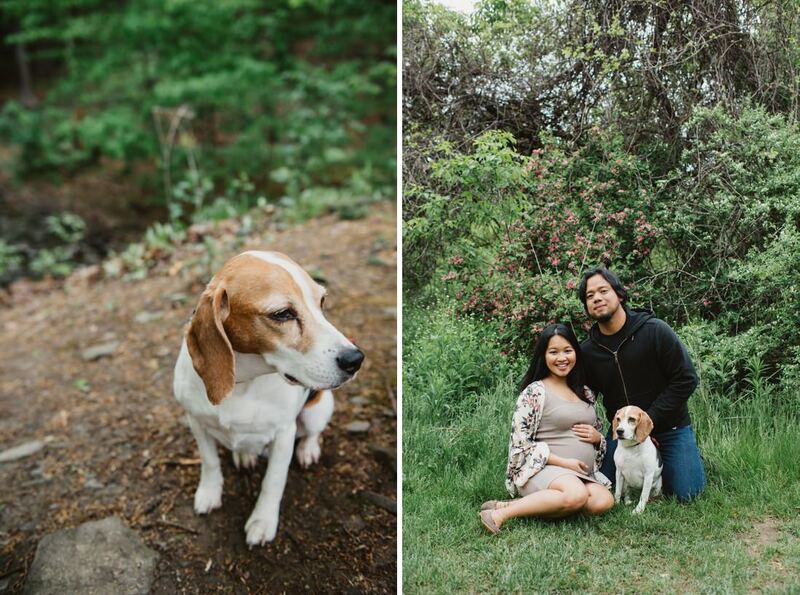 For their maternity photos, Olivia and Jericho wanted to include their pet beagle, Beya, and also some awesome Smoke Bombs that they’d purchased. 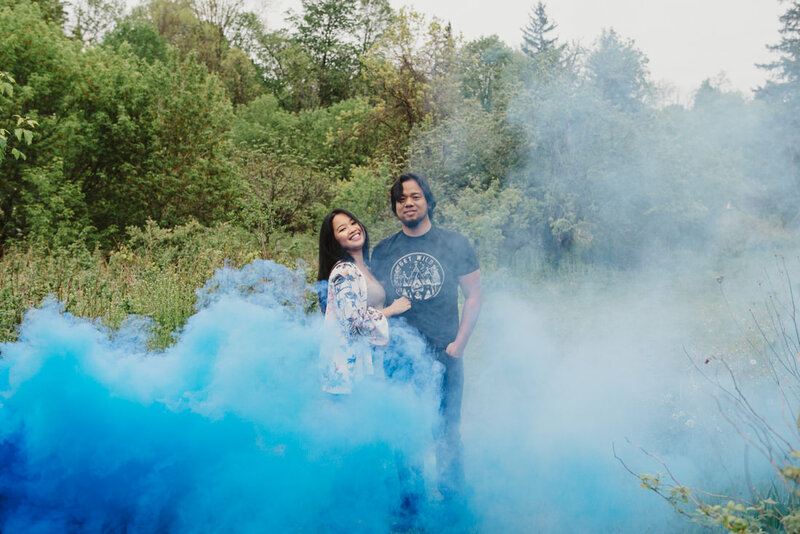 Smoke bombs create fun and whimsical portraits because of the pop of colour they provide. 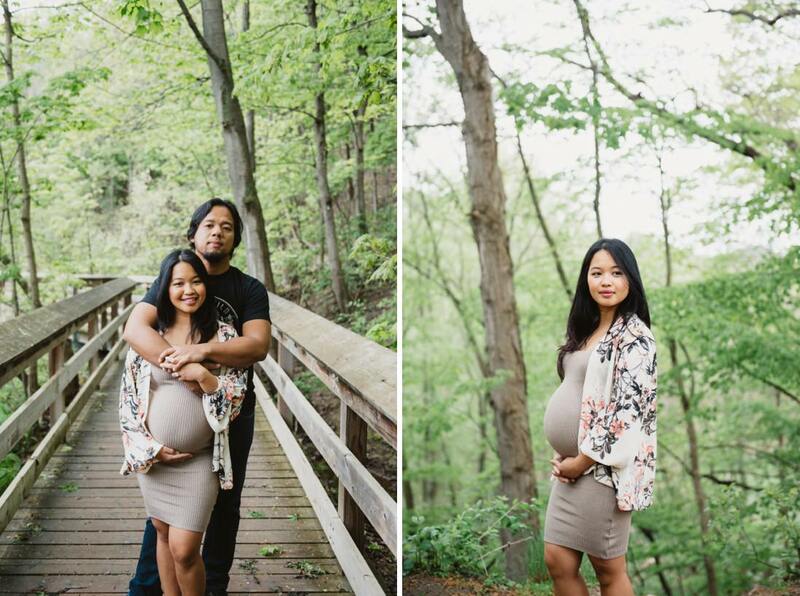 They’re a huge trend with wedding and portrait photographers nowadays; so who could say no to that, right?! 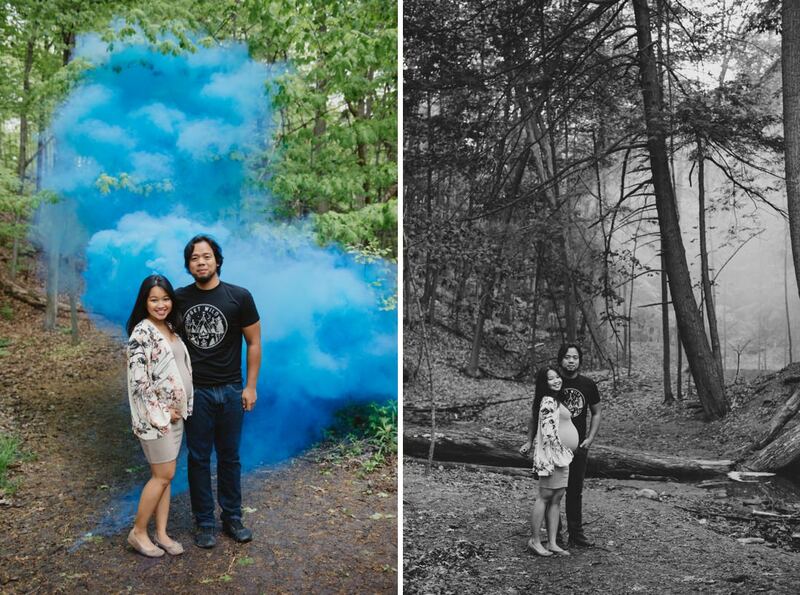 If you’re interested in Smoke bomb portraits, here are a few key things to keep in mind! 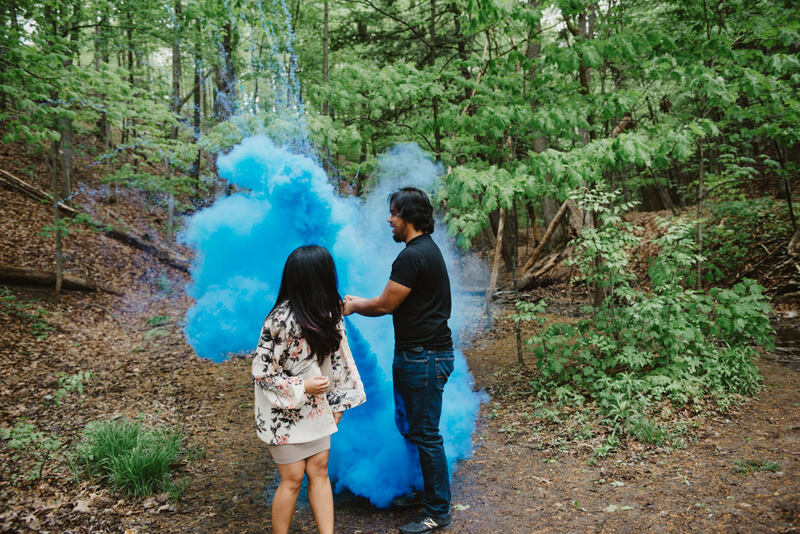 Smoke bombs come in a variety of colours, and may stain clothes and your hands. Wear clothes that you don’t mind getting dirty! 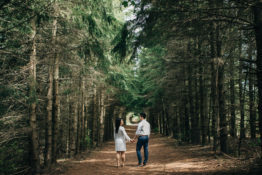 Avoid using smoke bombs on a windy day. They only last 60-90 seconds, so the coloured smoke will disperse too quickly if it’s being carried away by strong winds. Smoke bombs STINK and may irritate your eyes. Only use them outdoors and in an open area. Purchase more than one, just in case things don’t work out the first time! Smoke bombs can be a little dangerous if used incorrectly. We recommend using the wire-pull kind, and make sure to have some water on hand so you can put it out properly after it’s burnt out. 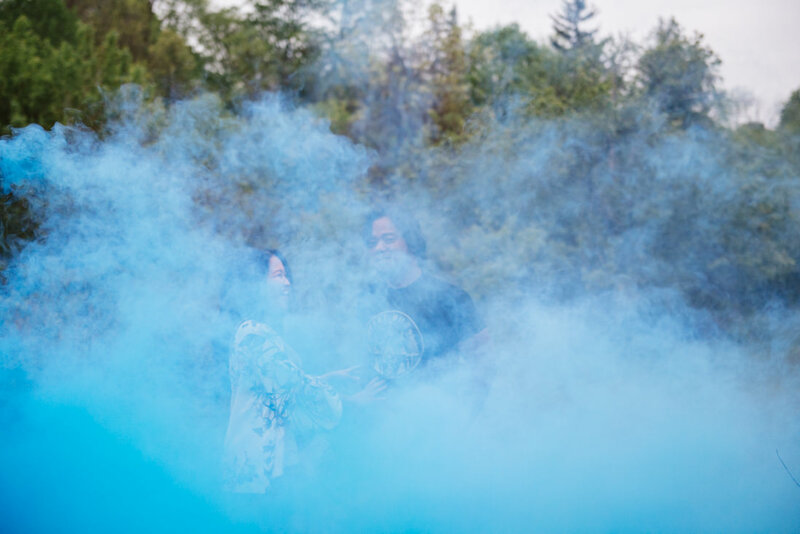 If you’re looking to do create some smoke bomb portraits in the future, the key thing is that there are no hard and fast rules. As long as you’re using them carefully, just have fun with it and experiment!